Sanctuary Kitchen and Bath Design provides design services for both remodel and new construction residential projects. MQ Architecture & Design, LLC, is an award-winning architecture and interior design firm located in Boulder, Colorado. Led by Mark S. Quéripel, AIA, & Brian Nelson, AIA, LEED AP. MQ Architecture & Design offers a full range of professional design services. Integrity, Passion, Collaboration & Creative Solutions These core values are at the heart of our firm, and are manifested in all the projects we undertake. It starts with listening and understanding what your needs are; and through an honest process of open communication and refining architectural solutions, together we can produce exceptional design. We are committed to our clients and to designing emotive architecture that improves the quality of life of one’s life and the built environment. 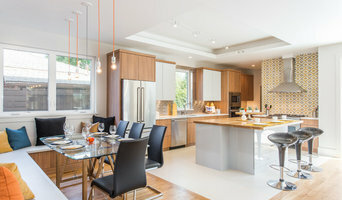 We specialize in custom homes and remodel projects of all sizes, styles and price ranges; so whether you need help with a bathroom tile selection or are looking to create a unique custom home, we can help you actualize your dreams, combining the best of the arts and sciences. Our professional staff uses the most current technology to deliver state of the art documentation and to facilitate a fluid coordination process. Our firm is dedicated to the principles of sustainability, and Mark is internationally recognized for his work in sustainable design and green building practices. We have found that an ecocentric approach to architecture, building and living challenges solves many issues naturally, preserves our resources, and provides significant cost benefits. Please take a look at our Sustainability section if you would like to learn more about our green approach and projects. Our design portfolio encompasses everything from western ranch, farm houses, cottages, Colonial and Tudor revival mansions, to log-and-timber frame cabins, and cutting-edge contemporary architecture. Whether it is a rustic wilderness cabin or a unique inner-city loft project, we believe the architecture must be responsive to the surrounding environment in order to nurture and elevate the human spirit. Please feel free to contact us if you would like more information. 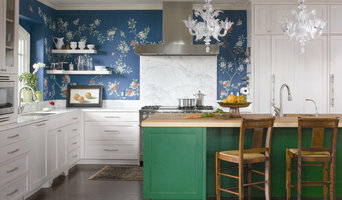 I don't JUST design kitchens & baths, I guide you through the design/selection process, I become your trusted advisor. My commitment to you, is to prevent you from making mistakes. I educate you every step of the way by providing my resources, sharing my expertise and deciphering your vision so that you can spend the time enjoying your newly remodeled space - not spending the time to manage the project. 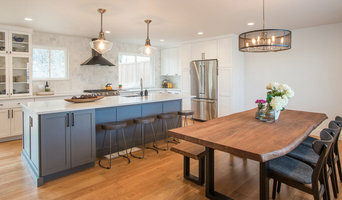 Best of Houzz: 2015, 2016, 2017, 2018 & 2019 Certified Living in Place Professional Associate Kitchen & Bath Design Kitchens & Baths & Interiors..., Space planning, Cabinetry planning Lighting design, Tile design.. just about anything you can imagine for your new Kitchen or Bath.. we help guide you through those selections. Service, aesthetic, quality of product and experience are what you can count on! 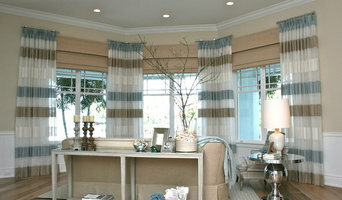 Additional services: space planning, color selection, closet, office, basement design, design only services, and more. Best of Houzz 6 years in row! Custom and Semi-Custom Kitchen and Bath Designers in Denver and Castle Rock Colorado. With two design showrooms in the metro area, homeowners, designers, architects and real estate professionals can look through our samples of cabinets, countertops, flooring, appliances and more all at one free consultation. Best of Houzz Winner for 2014, 2015, 2016 2017, 2018 & 2019 in Customer Service.